The American Association of Medical Colleges announced last week that medical school enrollment increased in 2007 by 2.3% over 2006’s entering class. The number of enrollees totaled almost 17,800. "More than 42,300 individuals applied to enter medical school in 2007, an increase of 8.2 percent over 2006." 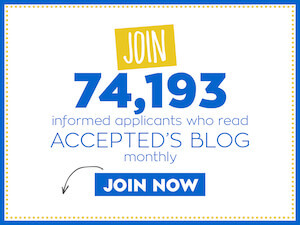 Almost 3/4 of these applicants were first-time applicants. "Overall, the academic credentials of applicants to medical school this year were stronger than ever before, with the highest MCAT® (Medical College Admission Test) scores and cumulative grade point averages on record." "In addition, over the past five years there has been an increase in applicants’ average amount of experience in premedical activities, including time spent in medical research and community service in clinical and nonclinical settings." AAMC has called for a 30% increase in the number of physicians in the US by 2015. In response to increased demands for medical education, Hofstra University announced plans to open the first new medical school in New York State since 1963. Hofstra will develop the curriculum and staff in conjunction with North Shore-Long Island Jewish Healthcare System. No anticipated date of opening was given in the announcement. Last updated on October 22, 2007.